Spaghetti Tom: I saw Josh Godi speak at the STL Angular Meetup Wednesday night on the ABCs of making an Angular 6 application. I saw Josh Godi speak at the STL Angular Meetup Wednesday night on the ABCs of making an Angular 6 application. 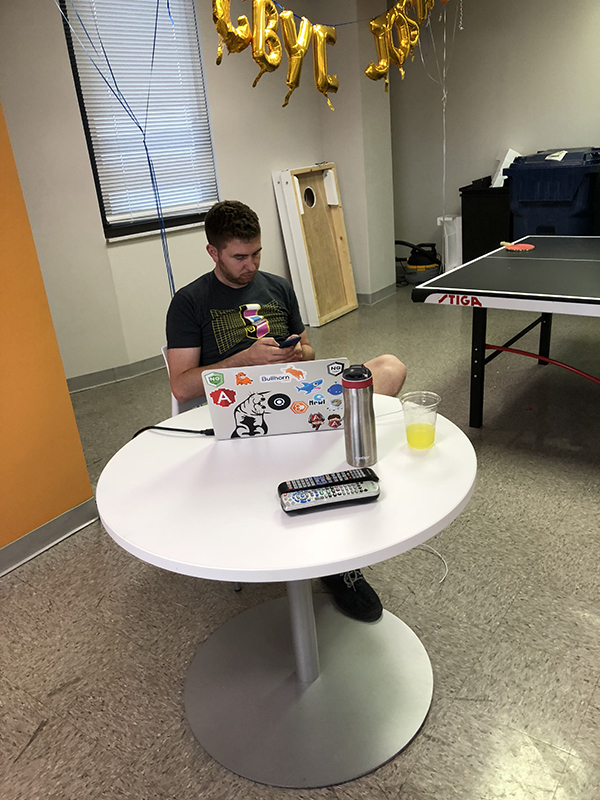 A member of the crowd opined that the markup was quite a bit different than that of JSX a frontend framework for React and another tool that was named dropped was Travis CI a continuous integration tool that is both hosted and distributed that plays nicely with GitHub. The GBYE JOSH message shown in the photo here does not apply to this Josh. Josh Godi clarified that a different Josh in human resources was moving on from Bullhorn which hosted both this event and the employment of the two Joshes. Also it really did say GBYE JOSH in balloons and not GBYC JOSH. The middle spike on the E is kinda bent backwards and you can't see it here in this picture. Goodbye Josh!